Ever get so stressed out about a project that you put it off until the last minute and then when it is finally done you wonder why you stressed about it in the first place? Here is a prime example! 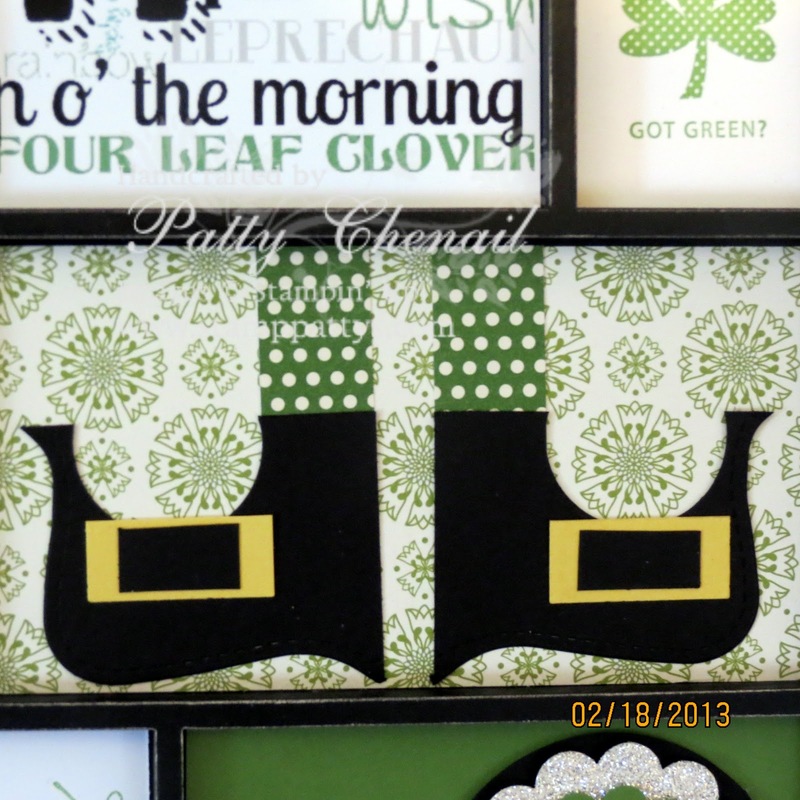 Several months ago, I started a home decor club using the Stampin’ Up! exclusive printer tray. Each month or 6 weeks, I design new inserts for the tray and all of the gals that have one are invited to come and make the new inserts. 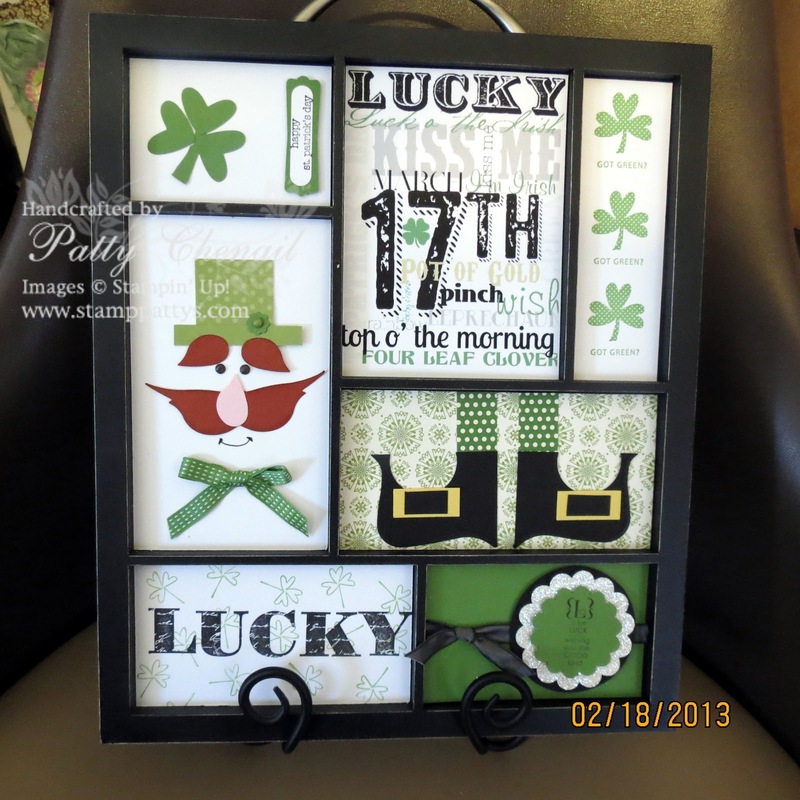 At our last gathering they asked if I would do a St. Patricks tray. Of course I never say no. When I sat down to actually design, I started to freak out because I did not have much in my stamp studio in the way of this holiday! Thanks to My Digital Studio and the use of the world wide web, I am very happy with how it turned out! 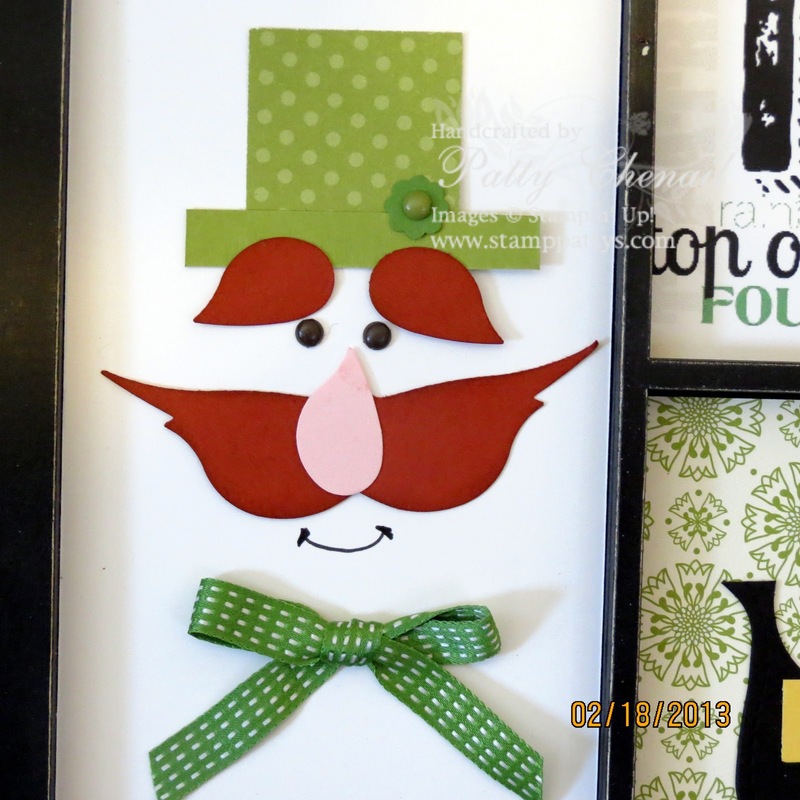 Thanks to a very talented demonstrator named Susie, I found this very creative Leprechaun. I changed him a bit to fit my needs and I love the way he turned out! What are you waiting for? Don’t you want to do more with your SU! goodies than only making cards? You need to get into my home decor and/or scrapbooking groups!! Also, keep your eyes open for a great class that I will be offering soon! JEWELRY!!! Yup! I have created a video too! Stay tuned!